A new month is here, and you know what that means - a new set of mini-reviews. Here's a look at some of the review books I read in the past month (and one review book that I read prior to that that I forgot to review - oops)! 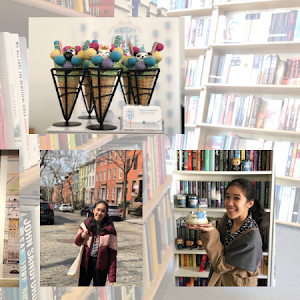 Here's to hoping you'll find something you want to check out and add to your TBR. The Edge of Everything is about a girl named Zoe, who lives with her mother and younger brother in a house up in the mountains of Montana. When her brother Jonah goes missing in a blizzard, Zoe goes out to find him – and that’s the same night they both meet X. The catch? X is a bounty hunter who is on earth to claim Hell’s next victim. After their encounter in the woods, however, Zoe and X find their lives forever changed. 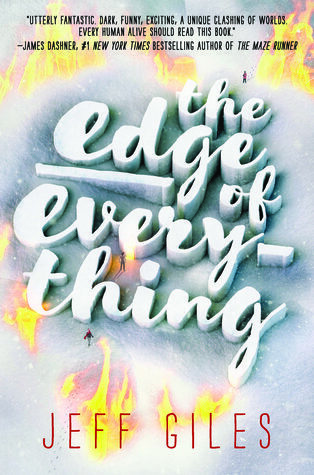 I don’t know quite where to begin when it comes to The Edge of Everything, and I suppose that’s fitting, considering the novel itself is a mix of elements. There are parts that read like a thriller, other parts that are more fantasy and mostly, it’s a contemporary young adult novel. And you know what? This eclectic mix of genres actually wound up working cohesively together as a whole. I was intrigued by Zoe and X, and found their story oddly compelling. When it comes to recommending this novel, however, my dear readers, I leave it up to you to decide whether you’re interested enough to read it. Windwitch, the sequel to last year’s Truthwitch, is centered on the four characters introduced previously: Safiya, Iseult, Merik & Aeduan. It tells of their journeys after all they went through, especially after their paths have diverged. Now, on the one hand, I really enjoyed dipping back into the world and seeing how it expanded even more. I also thought it was wonderful to be reunited with the characters I love in this series, particularly Iseult and Aeduan (who I personally feel have the best plotlines and relationship dynamic in this one), and to ‘meet’ new characters that I now love too. So, clearly, there were definitely portions of this novel that truly worked for me. However, there were also things that didn’t particularly appeal to me – plotlines, world elements and character direction, to name a few. 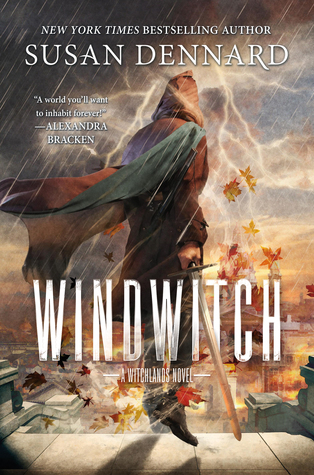 Unfortunately, it really wound up affecting my overall feelings towards Windwitch in the end. So, though I will likely be reading the sequel and I definitely thought there were good things about this novel, it just didn’t quite live up to the expectations I had for it in the end. I’d still recommend checking it out if you’re a fan of the series though! 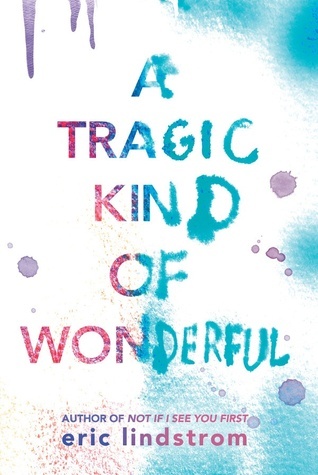 When I read up on what it was about, I immediately knew that I would be setting some time aside to read A Tragic Kind of Wonderful. Mel has bipolar disorder, but she's been able to manage it so well that many of the people around her don't actually know that she's suffering from it. Her family is aware, sure, but her friends are totally out of the loop and Mel likes it that way. However, things in her life get pretty intense and suddenly, these people are on the brink of finding out about Mel's secret. And she has no idea how they're going to take it, which scares her a whole lot. Now, in spite of its length (which was shorter than I expected), I really got swept up in Mel's story. I'm not personally familiar with bipolar disorder and I know it's a spectrum, so I can't tell you how accurately it was portrayed but it seemed really well-done in terms of manifestation and treatment when it came to Mel's situation. Eric Lindstrom's writing is so accessible and it makes it easy for readers to care about Mel, and try to empathize with what she's going through. 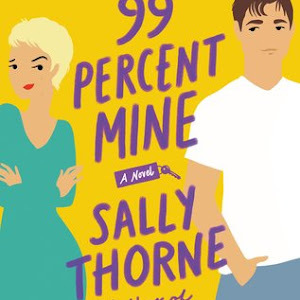 I also liked the additional elements he included - like Mel's job at a retirement home, her relationship with her family, her friendships and a budding romance. My only reservation really lies in the way things play out, both because it felt like majority of the things happened near the end and it was a touch more dramatic than I expected. Still, I thought it was worth the read, and I would definitely consider reading another novel from Lindstrom in the future. I am such a big fan of the Tuesday McGillycuddy series, because the stories are delightful reads filled with heart and imagination. All three stories follow Tuesday McGillycuddy, a young girl who discovers the world of writers (where Vivienne Small, her mother's book series main character, has her world) when she goes in search of her mother (book one) and gets stuck there for a time (book two). 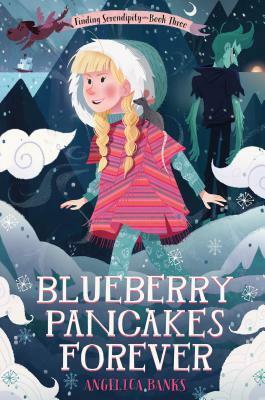 In this final installment Blueberry Pancakes Forever, Tuesday is taken by a strange boy who has suddenly shown up in the world of Vivienne Small and it is up to her family and friends to come to her rescue. It's an exciting adventure, as the other two previous works were, and readers will be reunited with lots of familiar, beloved characters, as well as being introduced to a couple of new ones (including one I particularly loved). It was so enjoyable, and I felt like it was a really strong end to this series. 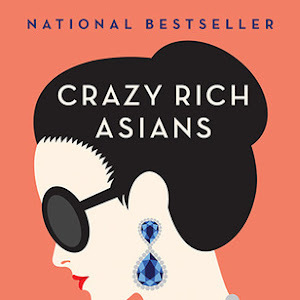 I'd highly recommend this book (and the rest of the series)! 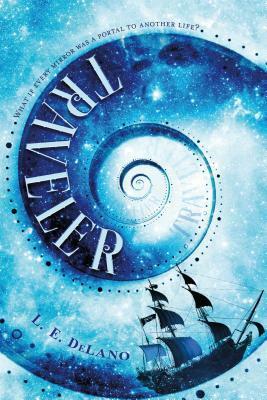 I wasn't entirely sure how I would wind up feeling about Traveler, but I'm pleased to report back that it was a good surprise. Jessa has been having extremely vivid dreams of different scenarios that all have one thing in common: a beautiful, strange boy. And then, one day, he appears in her real life and opens up her entire reality by telling her that she's a traveler and can move through realities just as he can, and that they know each other in pretty much nearly every single reality. He's also come to her for a specific reason: to make sure she stays alive, as all the different versions of Jessa slowly been getting killed off. This is where my little summary is going to end, but I can tell you that the book was real fun to read. While I certainly felt like I could personally have used a little more development of the traveler system and the characters, it was still quick, easy and entertaining. Rise of Fire continues the story of Luna, blind princess of Relhok, and Fowler, son of the man who has usurped Luna's rightful throne. After the cliffhanger ending of Reign of Shadows, it was a relief to be able to jump straight into the story from right where we left off. Alas, that novelty was quick to wear off! 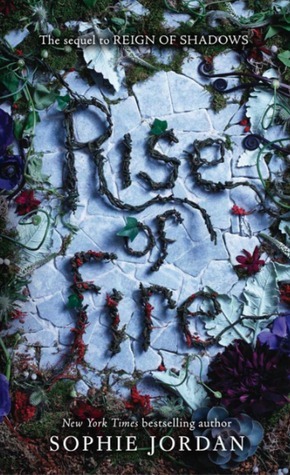 Unlike its predecessor, Rise of Fire has less adventure and more court intrigue. It just wasn't a story that worked for me, particularly because I also wasn't fond of the way the new secondary characters were developed and because things felt sluggish. 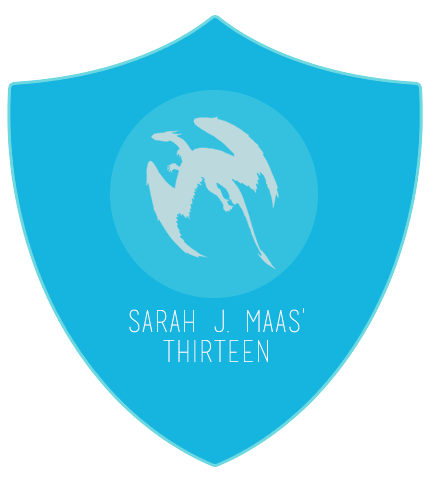 I did fly through the novel, since the chapters are pretty short, so that's definitely in its favor! But what I would have liked, more than anything, is if the two books had just been published as one long stand-alone. I really feel like I would have found the overall story stronger if that had been the case! So, you might wonder, would I recommend this one? I'd give it a potential yes, if you're curious about how Fowler and Luna's story ends. But if you haven't started the series at all, I can't say I would recommend checking it out. I read the first four books released in The Books of Pellinor years ago, but I remember the characters pretty damn well all things considered. 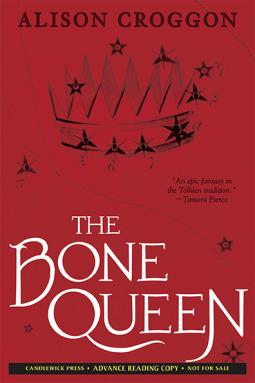 So, when I heard about The Bone Queen, which is Cadvan's story prior to the events of the Pellinor quartet, I immediately wanted to read it. It tells of Cadvan, a Bard exiled from his school for using sorcery to summon The Bone Queen. He's living a quiet life in a remote village, still consumed with guilt over his folly. But dark things are astir, and together with former acquaintances, Cadvan is going to have to fight to protect the world. Now, before anything, let me put this disclaimer forward: Alison Croggon's writing style takes some getting used to. She narrates each story as if she's translating historical documentation that's been found, so it reads as very dense and very dry. That being said, once you get past that hurdle, you'll be able to enjoy the story that unfolds. This is particularly true if you love Cadvan already (like I did). But even if you don't, it'll serve as an introduction into this world and characters. It's a slow starter, but it develops into an intriguing tale. 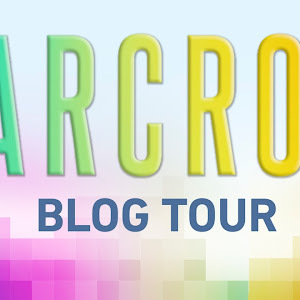 Personally, I think it will definitely intrigue you enough to check out the rest of the series afterward (if you can look past the writing style, which isn't for everyone). I'm glad I read it, and I'm doubly glad that Alison Croggon decided to share Cadvan's story. You might be eligible for a free $1,000 Amazon Gift Card. Did you know that you can create short urls with LinkShrink and make money from every visit to your shortened links.